I’ve spent my life creating stories and books. At least, I’ve done that when I can – much of my time is also spent in other, adjacent careers, which actually pay me money. Alongside storytelling, I also do lots of corporate, publishing and teaching work, at which I’m very good and that’s why I don’t starve. Anyway, this year, I’ll be tabling at NEW YORK COMICON where you can buy some of those aforementioned books, as well as various other goodies. Aside from signed books — which, if you buy directly from me, will also come with an original, personalized color sketch — I’ll be selling signed DOCTOR WHO prints, original artwork from all my books and comics, limited edition T-shirts, a print of the MAP from PIGS MIGHT FLY (updated with new place names! See above) and other items that you just won’t find elsewhere. If you know me only through my writing for Doctor Who, or via my Eisner-winning YA graphic novel LAIKA, and you like what I do, please stop by and buy some of my other books or a print or T-shirt. I’ll be bringing a career-long overview of stock, including some out-of-print volumes. All of these books got great reviews - google ‘em if you don’t believe me. You’ll go away with a song in your heart, sure that you supported an artist who deserved your hard-earned cash. (You know what we're sayin'. Every little bit helps.) And yes, we’ll be accepting PayPal. Sharing my table is my esteemed co-author of PIGS MIGHT FLY, Jerel Dye. For those of you who don’t know, Jerel is an astonishingly imaginative artist, whose work has been compared to that of Miyazaki. (No, really, see here.) Yeah, that Miyazaki. Meet him now before he becomes so famous you won’t be able to get near him, let alone speak to him. We’ll have hardback and paperback copies of PIGS MIGHT FLY available, and this may also be your only chance to get a copy signed by both of us at the same time, writer and artist together. Oh yeah, and Jerel will also be bringing copies of this exclusive PIGS MIGHT FLY print, featuring the cast of our magnum opus. You can get it signed by both writer and artist! 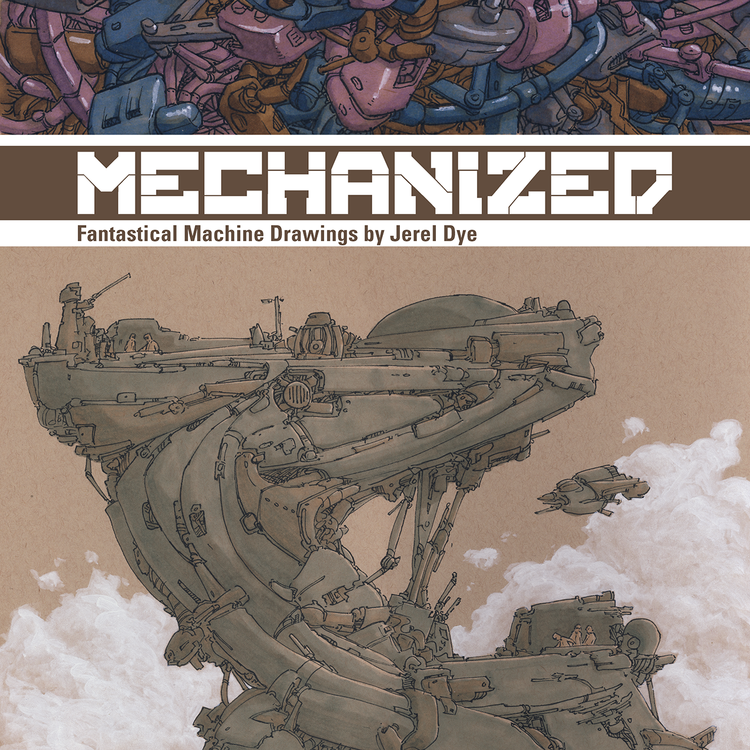 Jerel will also be bringing copies of his book MECHANIZED featuring his fantastical machine drawings. If you like it when Moebius or Geof Darrow does this sort of thing, you’ll like this, I promise you. He’ll also be bringing limited edition zines and other goodies. 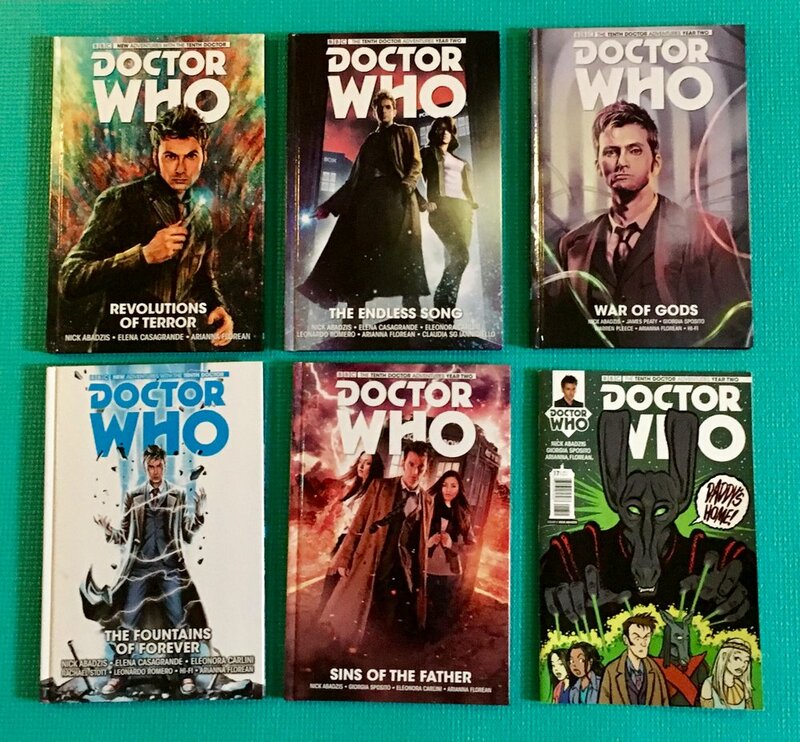 I’ll also have plenty of the latest DOCTOR WHO – THE TENTH DOCTOR GN collections and single issues (that’s the David Tennant Doctor to the uninitiated) and copies of LAIKA, all of which will come with personalized sketches. LAIKA will be the more recent BlackFish edition with extra backmatter on the making of the book and five "alternative endings." Meet the authors! In this special speed dating event, presented by the CBC Graphic Novel Committee, NYCC @ NYPL attendees have a chance to meet some of the fantastic authors attending New York Comic-Con this year, and talk to them about their work, their process, and what they've got in progress. The rest of the time Nick and Jerel will be on table C15 in Artist’s Alley. Please stop by and help starving artists!